Please note these are downloadable PDFs. If you prefer to play online, please visit our Online Letterfit puzzles. Letterfit is a fun word puzzle. The aim is simple - the puzzle starts with an empty grid, and a list of words of various lengths are provided. The aim of the game is then simply to place each of the words that are listed into the grid. But there is of course a catch - there is only one location each word can possibly go in if you are to fill the grid completely. Therefore you can't just enter a four letter word into a four letter gap, but rather you have to work out which words can fit around that word in order to solve the puzzle. You will never need to guess but rather can solve the puzzles with logic alone. 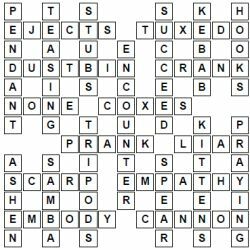 The puzzle is also sometimes referred to criss cross or possibly kriss kross too, and there are probably other names for this fun word puzzle too as well as letter fit. The hardest part of the puzzle is probably getting started. For this reason it is often best to look for the length of word for which there are the least options, and then try to place those first if possible. Once you get going you should be able to build up a head of steam. 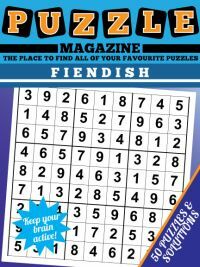 The magazine contains 100 puzzles, and you can download a sample page from Letterfit Magazine to print and play. 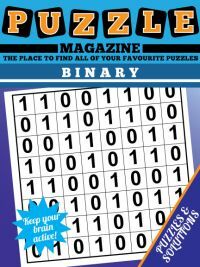 There is one puzzle per page, and then of course come the solutions which are 4 a page. 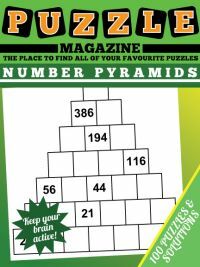 In total this means that there are 125 pages in letterfit magazine, so you can print puzzles as and when you want to play them then check against the solutions. 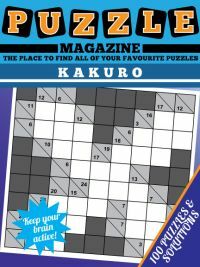 How do you go about solving letter fit puzzles? The best way is to take a look at the word list at the start of the puzzle. This word list is split by the length of the word. You will notice that usually there are some word lengths of which there are fewer words than others. There might even only be one word of a given length, in which case it can be placed straightaway! If you ever get stuck, then try each word in turn in your head, looking at a run of letters where you have the least possible options - perhaps you only have two words that fit in a given location but you are not sure which word is right. 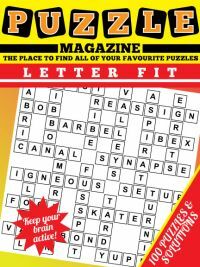 You should never have to look more than one step ahead to solve any of our letterfit puzzles. You won't need more logic than 'if I place this word here, then there is no word that fits there, therefore this can't be the word'. Knowing this will reassure you that you never need to blindly guess. 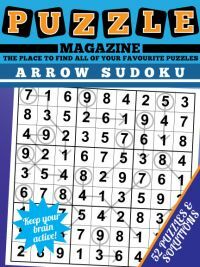 Each puzzle also has just one solution, as you'd expect with letter fit puzzles. Finally, do the simple things: each time you place a word we suggest crossing that word off. That way you will visually see which words you have placed and also be able to keep track of just what has been placed in the grid. Otherwise it is too easy to double place a word, which you might not notice til later on and can lead to considerable frustration when you need to rub it out and solve again - or even print a new version of the puzzle and start again!